The theme for April's Polish Pick Up is Across the Universe - Planets & Galaxies. 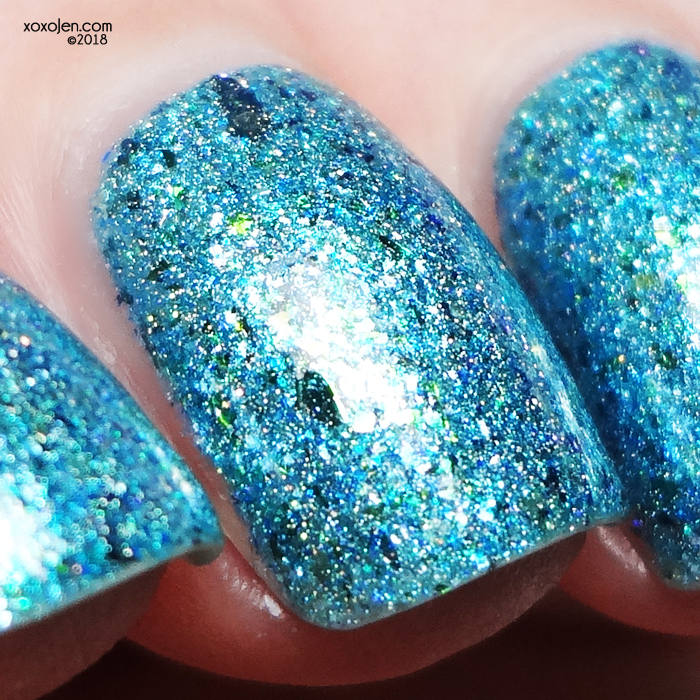 Pam created a polish inspired by The Little Prince which is a lovely story about learning the importance of looking beneath the surface to find the real truth and meaning of things. It teaches us to see with our heart instead of just with our eyes. a sparkling turquoise foil-ish finish, with an abundance of holographic pigments, gold flakes, blue flakes, and green-blue-gold colour shifting flakes. I wore two coats with topcoat and Pam is so right, definitely foil like! Felt With The Heart will be available for pre-order at Polish Pick Up April 6-9. This polish does have a cap, but the amount has not yet been determined.